There is something with fashion and it’s not restricted to the realm of humans. They say that clothes make the man or woman. And the camel, I would like to add now. 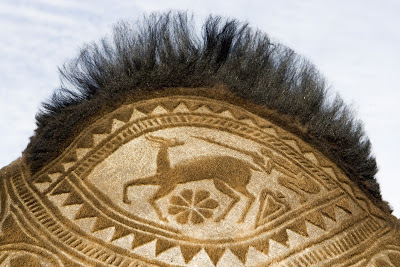 A new coiffure, some make-up and jewelry, lots of jewelry to be precise and well, it’s a whole new camel. It is not only their looks that are transformed by all these ornaments. Basking in all the attention the camel’s psyche seems changed. There was even one that seemed to blink an eye at me. And the humans? 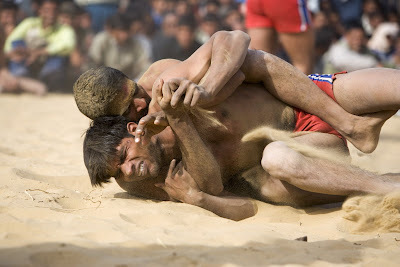 This time they were the ones at home in the sand during the numerous bouts of traditional wrestling. It’s good to get down on all four and roll in the sand.